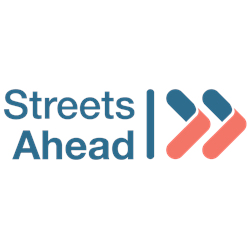 Streets Ahead is a voluntary organisation offering support to adults and young people with a learning disability in the Borders. We are a successful and ambitious organisation in the Scottish Borders which has been supporting people to lead great lives for over thirty years. We are investing in our business support function and this new post is key to helping us achieve our ambitions. The post will be crucial to ensuring that all our HR functions operate efficiently and effectively. You will be responsible for processing starters and leavers, supporting a wide range of employment matters, supporting staff learning and development and applying good values to ensure that all our staff have positive experiences in the workplace. You will also be a key provider of data and information to colleagues in areas such as payroll and the Streets Ahead Board of Directors, so you need to be very well organised and self-motivated. We also welcome innovation and creative thinking. Good support will be given to the right candidate who wishes to further their career in this area. For an informal discussion call 01450 377924 and ask for Sandy Devers.